The pound edged fractionally higher this morning as Asian markets weighed up what the next 24 hours could mean for Prime Minister Theresa May’s Brexit deal. Sterling rose 0.3 per cent against the dollar before slightly falling back to $1.289 as markets in Hong Kong and Japan traded ahead of the crunch vote from 7pm. By 8am today, the pound was at $1.2883 compared to $1.2870 at the previous close, while the euro was £0.8903 compared to £0.8917 at the previous close. The pound’s resilience was in contrast to warnings of chaos and uncertainty in the UK if MPs reject the Withdrawal Agreement in the Commons. According to some reports Mrs May could face a historic defeat, raising the possibility of a no-deal Brexit or the departure not happening at all. Sterling’s marginal gain came against a background of concerns over world growth, Chinese trade data and the ongoing government shutdown in the US. 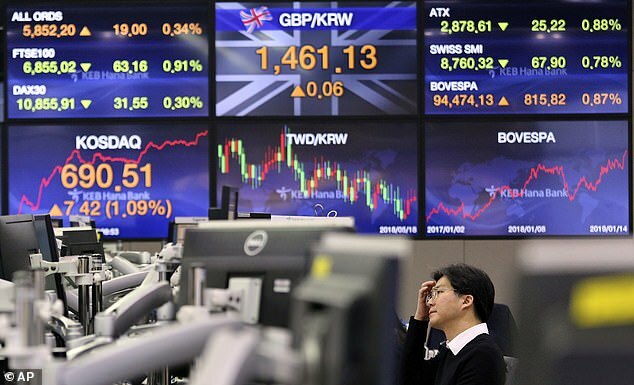 Meanwhile the FTSE 100 index shortly before 8am was unchanged at 6855.02. 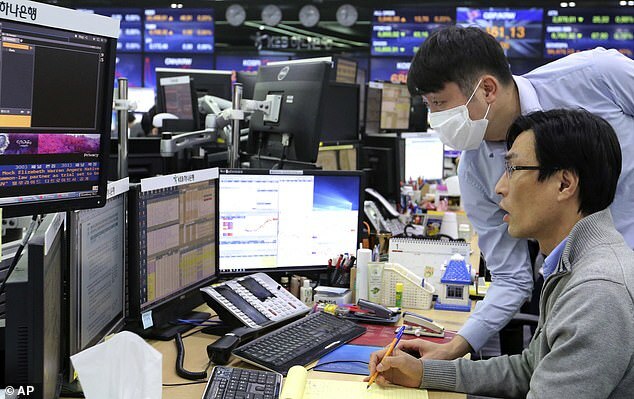 Masahiro Ichikawa, senior strategist at Sumitomo Mitsui Asset Management in Japan, said: ‘Markets have priced in a rejection of May’s plan. ‘There are many scenarios after that. Still I’d think the most likely outcome is to extend the (March 29) deadline of Brexit. Currency option markets are barely pricing in the chances of sharp moves in sterling. The pound’s one-month implied volatility stood at 12.5 per cent. This was above the average for the past year of 8.8 percent, and well off 20-percent plus levels seen in the days just before the EU referendum in June 2016. 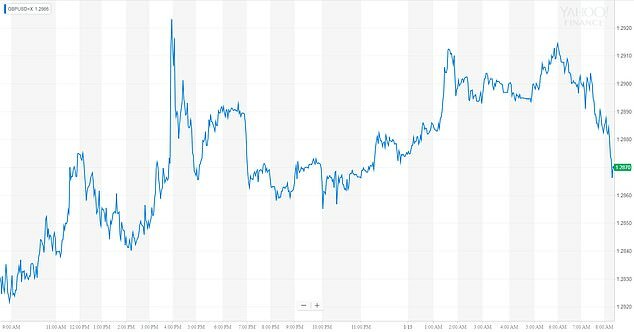 Michael Hewson, chief market analyst at CMC Markets, told This Is Money: ‘The pound is set for a potentially choppy next few days. ‘It’s been suggested that if the PM loses the vote badly, which looks highly likely, she would have to step down, though it’s not immediately clear who would replace her. ‘The PM was at pains to set out yesterday that if the deal is voted down later this evening then there would be the real possibility that Brexit may well not take place.